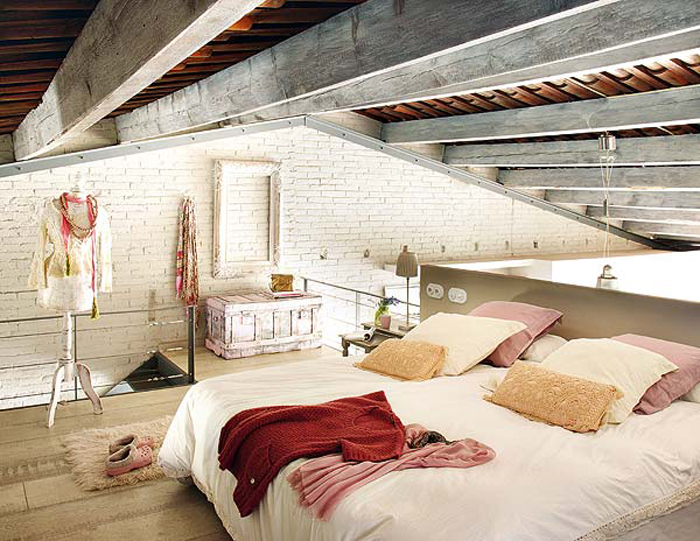 How cool is this loft?! I love the industrial feel, but I often find that it can come off as a bit 'cold'. 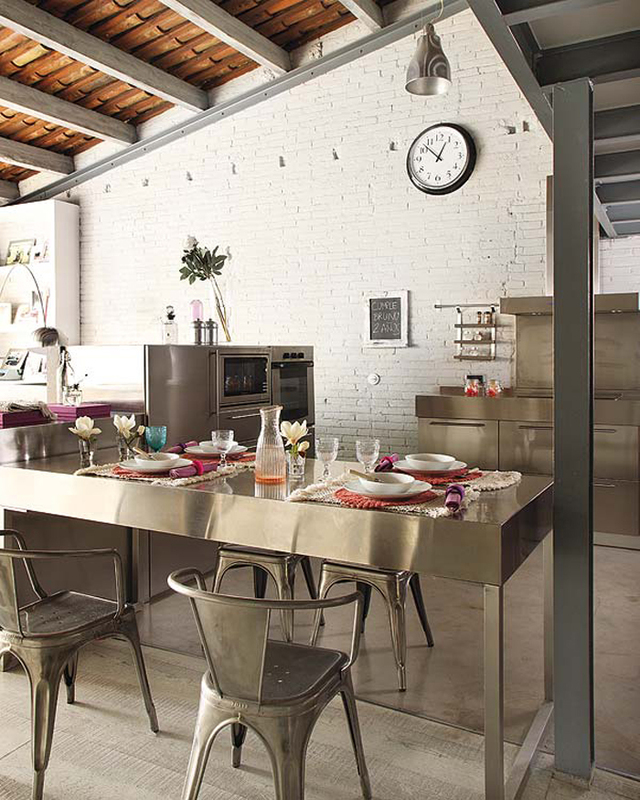 This home, conversely, feels light, bright, cozy, and - of course - industrial. 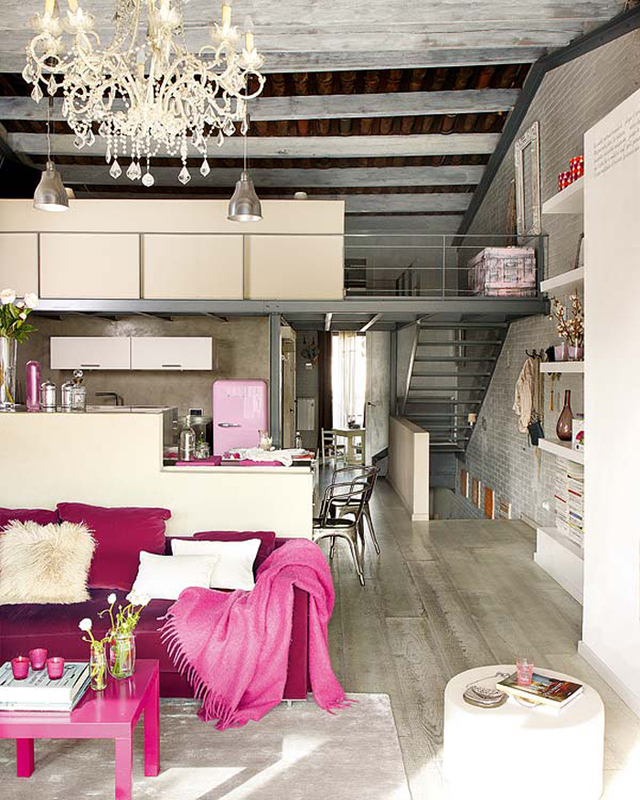 I am especially liking those unexpected elements that just work so well in the space - like the hot pink sofa (NEVER would think one could look that awesome!) 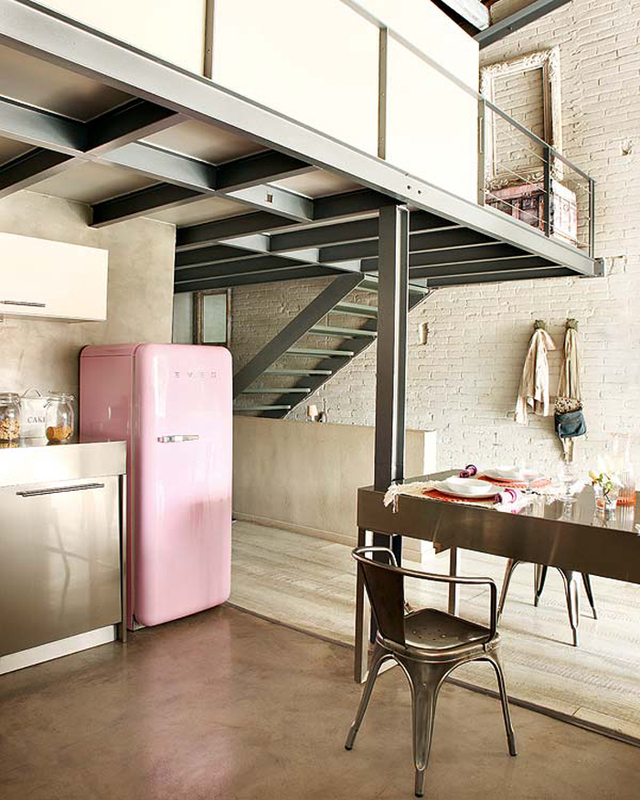 and the vintage soft pink refrigerator. This is right up my alley. I adore bright pink and white brick. 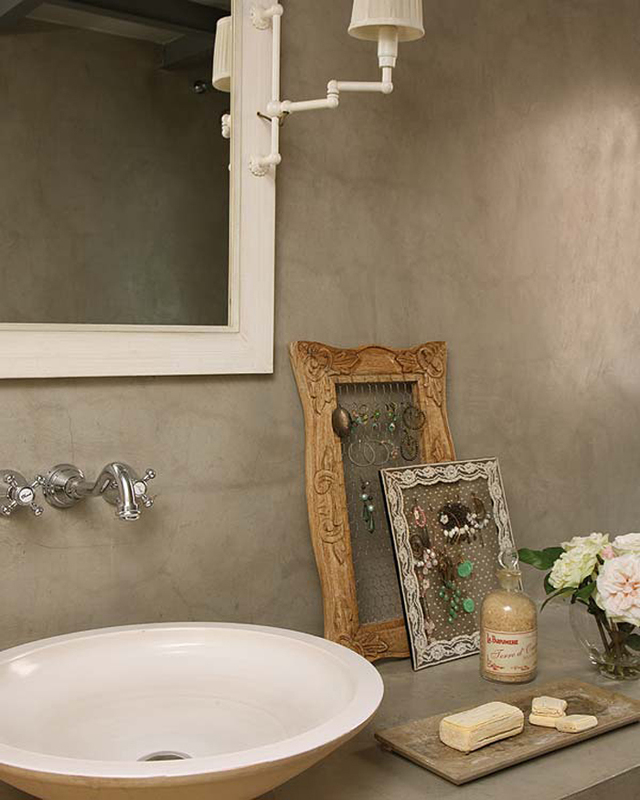 My last apartment had a giant brick wall and I often considered forfeiting my security deposit to paint the wall white. Don't you just love Ikea? I love the pops of color, such an amazing place. Tereza - I am definitely an Ikea fan...you can definitely tell when you walk into our apt!